Bakery / Hotel industry is a very upcoming and rewarding field. There are huge investments involved but the return on this investment is commendable. The market for bakery items (like cakes, biscuits, pastries) and chocolates is growing many folds. More and more people are becoming aware of these products and have started consuming them. Thanks to the sweetness drive by Cadbury’s, more and more people are becoming aware of chocolates and like to consume them in various forms. 1. Making moulded chocolates, confectionery and decorating them to be sold for gifting purposes – This requires a fine quality and taste of chocolate. 2. Making Icing on cakes – Again requires fine quality of chocolates which gives a smooth finish, luster and adds aroma to the cake. 3. 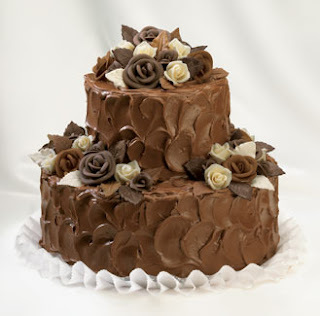 Making chocolate cakes & biscuits – Good Hotels may require fine chocolate powder for the purpose, others may do with a less fine / smooth texture also. 4. Mithaaee waalas – use cocoa powder for making chocolate burfis. 5. Kulfi Vendors, Milk shake people – the roadside vendors may want to have cheap quality product which is economical for their usage. 6. Pharmaceutical companies – some of the pharma companies use a lot of cocoa powder in their manufacturing process. 1. Brochures – Colorful Brochures for the product are printed and the sales team visits the target outlets and explains about the product. 2. Product Sampling – The next step is reaching out to the customer with the samples of the product. The customer may not show much interest in the product only by seeing the brochure, unless he / she see the product for himself / herself. 3. Product Demo – After the product, the next most important thing is giving demonstration to the target group, so that their interest is created or at a later stage maintained in the product. This is a continuous process because interest once created needs to be maintained otherwise there are various other brands which take away the limelight. 4. Support – If the bakery people need guidance and support in using the product, the guidance is available at a phone call’s distance. In case they are having any difficulty in usage of the product, a representative from the company gets in touch with them and solves their problem. 5. Booklets / books – Distribution of various recipe booklets and method of preparing dishes and desserts using your product is important. The outlet wants to learn how to make preparations using your product. It is only natural to be eager to learn and grow your business. 6. Gift items with the product – Every one likes to be gifted. There are various moulds or bakery articles like knives, spreading spatula, to name a few, which are used in the industry for preparation of moulds or decoration articles for the cakes / other items. These are continuously being gifted by the companies to the clients to keep them happy and occupied with their product. Such articles create interest in the product of the company and vendors to try out to use them, to make articles using these gifts. 7. Product Quality – All product quality is good. It depends on the usage and the requirements of the target outlet. The same product could be very good for the biscuit industry as they may not need very fine particles and granule size could be big for them. On the flip side for the home made chocolates, it may not go so well, as it may not give that fine texture, glaze or smoothness. Thus the practice in the market is to give a product to the client as per their needs. This means that if a biscuit manufacturer needs chocolates at Rs. 76/- per kg, they do not want a very fine quality, thus the prices are adjusted according to the needs and quality required by the client. 8. Service – In Pune, Morde, Angadi, Pitambari etc have their factories in the vicinity of the town. So as and when the order is placed with the producer, the stock is delivered to the WD / the party within a day’s time. The stocks may take up to one hour for local to one day for up country markets. 9. Pricing – The pricing for the products is variable depending on the client and the quantity he offers to take. The price for Dark compound ranges from as low as Rs. 76/- a kg (as told by Classic Foods personnel) to Rs. 110/- per kg (to the distributors) to customers or distributors who are taking directly from the company. After the cut in the excise duty, the basic prices of the products are the same in the market. The excise has been reduced from 14.42 % to 10.30 % thus reducing the rates of the chocolates in the market. 10. Credit – The Bakery / Hotel business is one which demands credit. The chocolate companies thus have put in the distributors and companies using their product, into a habit of getting credit period from a week to a month (depending on the type of client). Any organization intending to enter this market, and wishing to sell a similar product needs to identify the special qualities in their product. For example, if A is an established player in the market and has good relations with the clients/ customers / distributors, giving those rates and quality as per their needs and requirements, it needs some special efforts at the organization’s end to pursue the clients to use their product. Although difficult, it is an interesting and glamorous product and has a large market to pursue; keeping in mind that the efforts required to capture this market would be huge in the beginning.